Whilst the photographs of the Chalons Camp of 1857 are very well known, these images were taken in Italy during the Italian Campaign of 1859 showing the French army on manoeuvres and in camp. 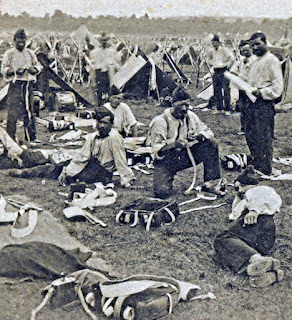 (above) Voltigeurs of the Guard in camp, 1859. 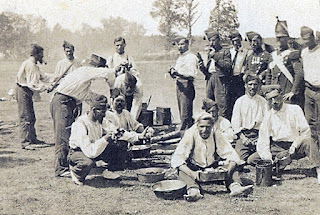 Notice the variety of dress: Voltigeurs just wearing their Bonnet de Plice and shirts, the Sous-Officier wearing his veste and those men on duty wearing the traditional campaign attire of their shako and capote. 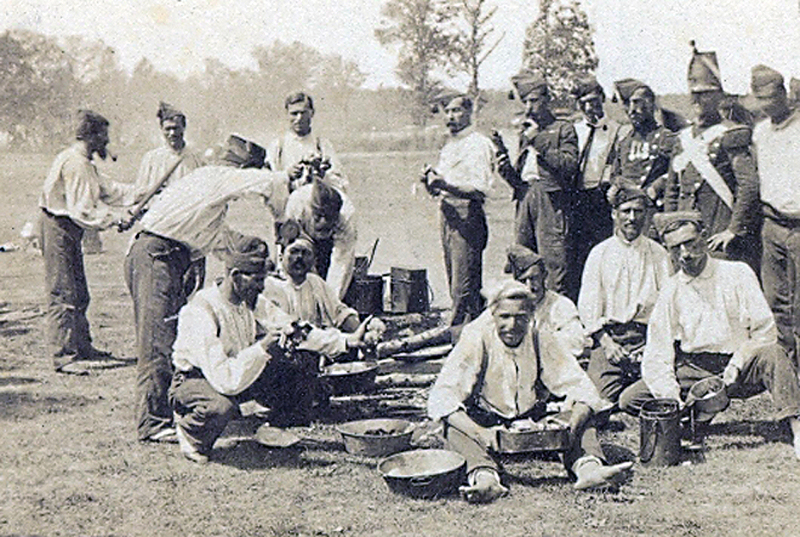 (Above) Grenadiers of the Guard in camp.Note they all appear to be off-duty, wearing their bonnet de police and shirts,cleaning their kit. 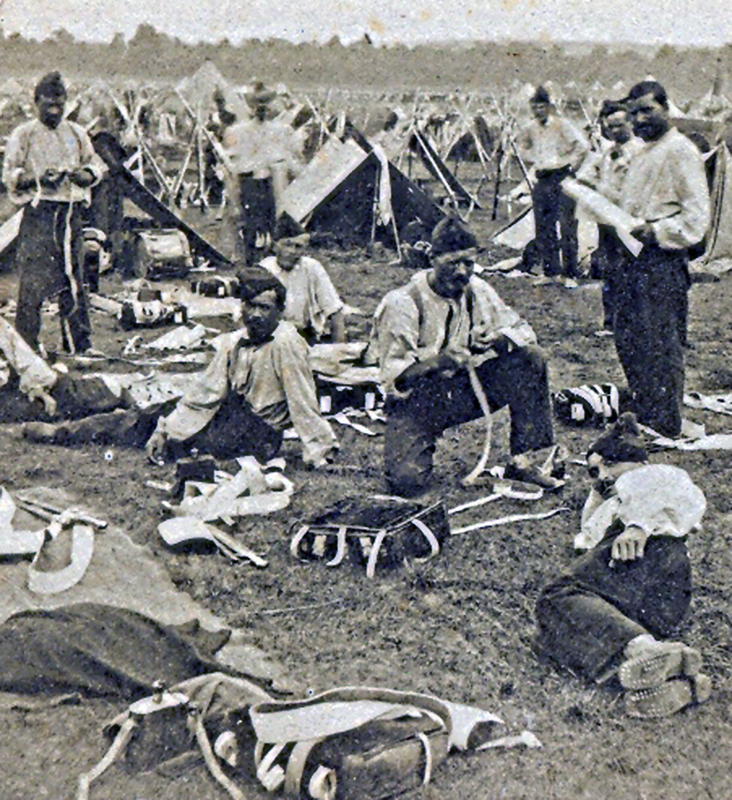 Also note the small size of the Tentes d'Abris which were carried on their packs (visible in the foreground), and how crammed together the tents are. 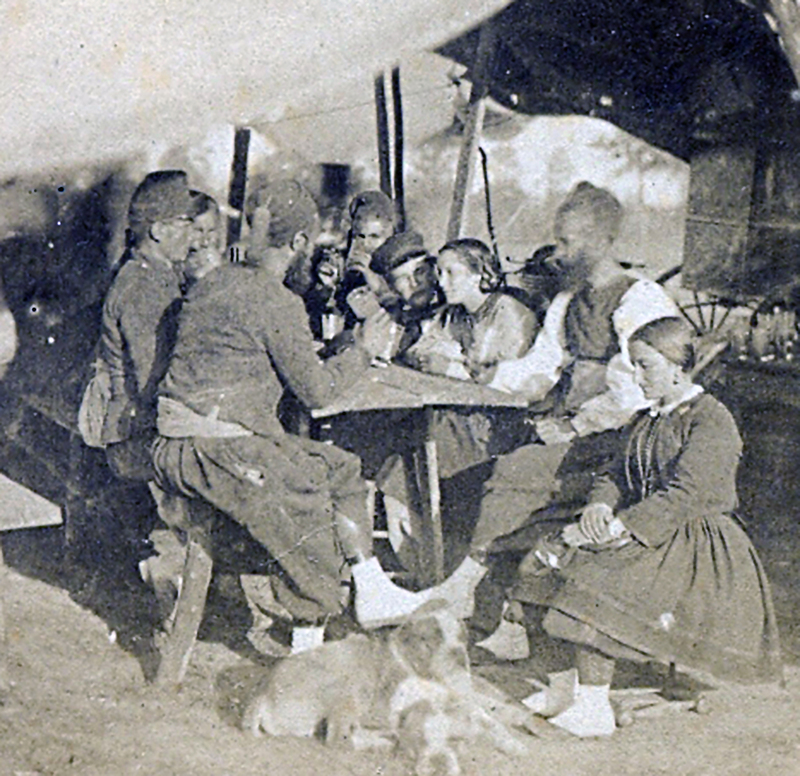 (Above) Canteen of the Zouaves: not the variety of orders of dress worn (campaign dress with the veste, sedria and chechia) or just the sedria and chehia.Also note the Chasseur a Pied de la Garde on the left wearing his habit (also called a Basquine) and his bonnet de police a visere ("kepi"). A wonderful photo of one posibly two cantinieres in the canteen. Thanks for posting it! I found the stereoviews that these came from "on-line" Great detail. Again thank you.